Please consider using the “Standing Instruction” option (automated / fixed date transfer) to donate to us on a monthly-basis. Donate through credit card (MasterCard, Visa) or direct debit (internet banking) at Giving.sg (1.5% admin fee and GST on this fee will go to Giving.sg). Please indicate your name, NRIC, address and contact details on the back of the cheque. Click the Cat Welfare Society logo. From then on, follow the instructions on the screen to complete the donation. If you are a Standard Chartered Bank cardholder, we are listed under their online banking bill payment system whereby you can easily make your donation directly to Cat Welfare Society through their online banking platform. Cat Welfare Society (CWS) is a registered charity in Singapore with Institution of Public Character (IPC) status; any donation to CWS will receive a tax deduction of 250%. 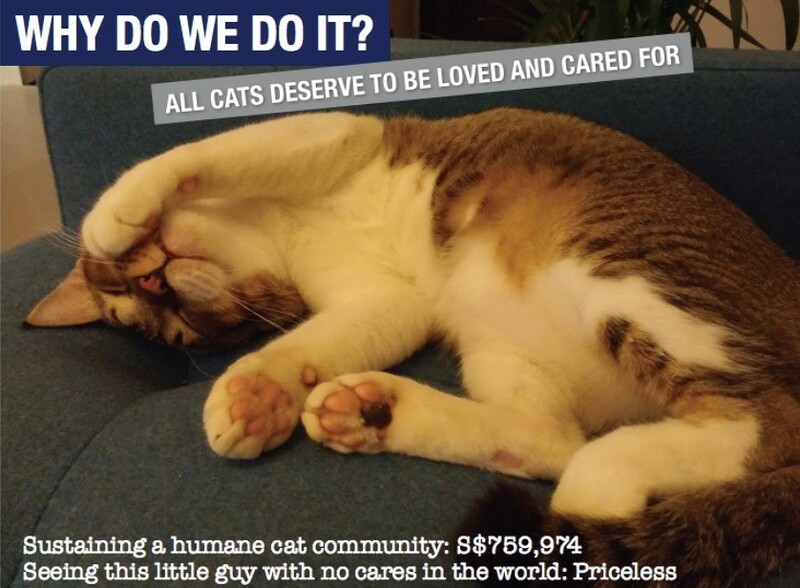 Cat Welfare Society is primarily funded by donations and receives governmental support for approximately 30-40% of the sterilisations that it pays for each year. Despite the lack of steady funding, we have come this far thanks to the kindness of donors and volunteers. Our consistent efforts in humane stray management has come at a price. 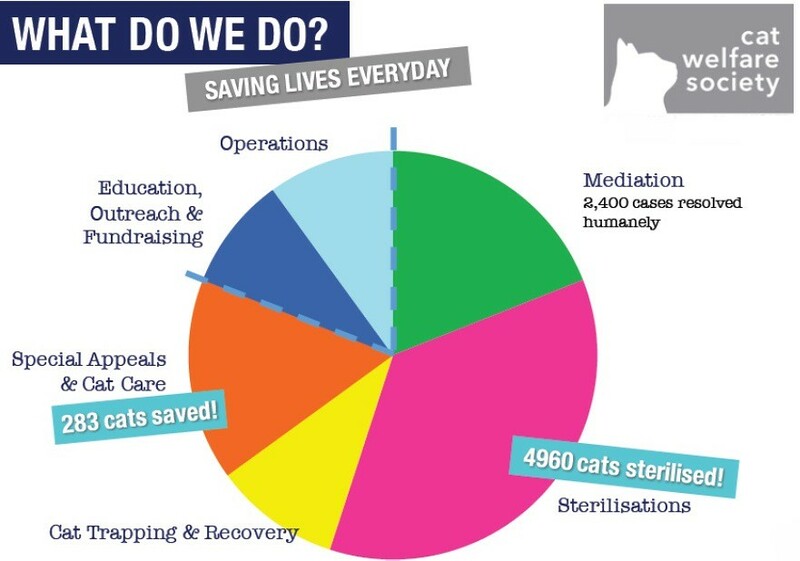 As a charity committed to saving lives, we continually exhaust our funds on sterilisation, mediation and other resources to support our caregiver network as well as helping low income families improve their living conditions and that of their cats. Our work is far from over and we can’t do it without you. We need your help to stay the course towards our vision of a humane, informed and responsible society. Please donate generously to save lives. Please note that requests for a receipt/tax deduction MUST be made within the same calendar month of the donation. The donation details will be provided directly to Inland Revenue Authority of Singapore (IRAS) and the donation deductions will be included automatically in your individual tax assessment, or where applicable, your corporate tax assessment. Our donation team is made up of volunteers and receipts requested via the link above are issued after 60 days from the date of the donation. Unless you are making a “Standing Order” donation, please note that you will need to fill out the form above every time you make a donation for a receipt to be issued. Please note that all data provided in the form will be provided to our Accountants and Auditors as well as IRAS for accounting and auditing purposes. Donors will be added to a mailing list for any future updates or news from CWS. You will be able to unsubscribe from the mailing list at any time.